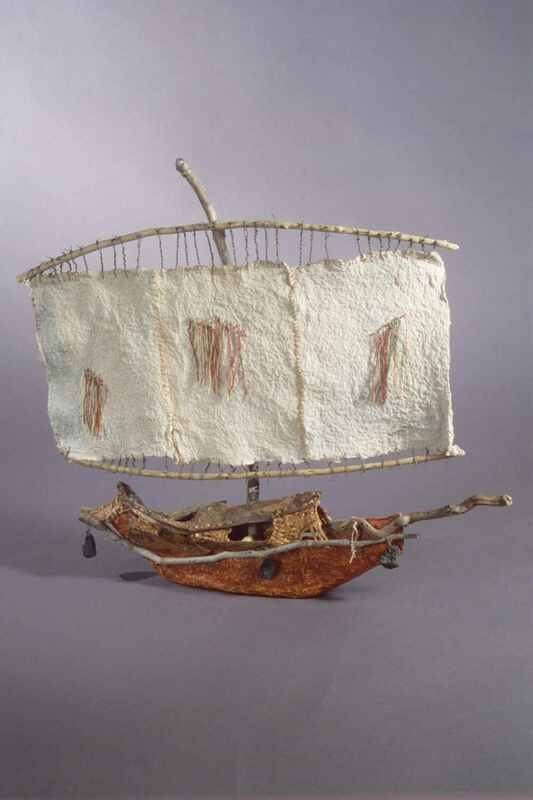 The hull and sails are made from abaca pulp. The hull is painted with gesso and acrylic paint. The sails are stitched with threads and knotted onto the wood. Raffia is woven onto the hull. Slag and driftwood used on the vessel.